'The whole ethos of Marussia is steady growth towards respectability, albeit on about two and sixpence'. Marussia's Technical Director Pat Symonds sums up where the team is at as it enters the 2013 season. It's looking to continue its climb to credibility established over the last 18 months or so, but all the while with a budget almost certainly the most meagre of any of the 11 F1 squads. Respectability may not seem much of an aim to the uninitiated, but it is so for a team that spent much of its formative years in F1 treated as little more than a joke. As Virgin Racing, it had entered the sport for the 2010 season start among that batch of three debutant outfits, and even though none by now have been able trouble the midfield with any regularity, Marussia managed to finish bottom even of that pile in the constructors' standings in each of its first two seasons. Its debut year was tricky enough (and contained an egregious error by the team, where it had to admit that its fuel tank was too small for the car to last a race distance without swingeing fuel-saving) and, worse, 2011 represented a step backwards even from that, falling further behind the pace as well as further behind the progress of Lotus (now Caterham) who'd entered the sport at the same time. As team principal John Booth stated, last year was very much year zero rather than year three for the team. Partway through 2011 it had resolved that if you are in a hole, you should stop digging. Many changes ensued as a consequence: having entered the sport in 2010 as a collaboration between F3 Euroseries squad Manor Motorsport and Wirth Research, Marussia facilitated the buying out of the Wirth half, and the deal allowed the whole team to move to one facility, at Wirth's base at Banbury in F1's silicon valley (previously the design had taken place there and the management of the team had been at Manor's base in Dinnington, Yorkshire). Further, the CFD-only policy of Wirth, an idea ahead of its time it seems, was abandoned, and a technical tie-up with McLaren was announced which ensured that Marussia cars would see a wind tunnel for the first time. The 2012 car's in-year development was wind tunnel based, and the 2013 Marussia was the first created in a wind tunnel. And star technical brain Pat Symonds, who has won championships with Michael Schumacher and Fernando Alonso at Benetton/Renault, started to feed into the team as technical consultant (under the terms of his ban following 'Crashgate' he couldn't be more than a 'consultant'), as well as led the design of the 2013 car as Technical Director following the expiry of his ban. And Symonds has developed a new technical department at the team, including the recruitment of 20 new designers. And all of this change began to have a positive impact on results during last campaign. The gap to the front as well as to the Caterhams habitually heading the 'B class' shrunk as the season progressed, to the point that in the latter case the Marussias' lack of KERS could account for much of the difference. Indeed, the team came oh-so-close to plundering tenth place ahead of Caterham in the constructors' standings. Timo Glock's 12th place finish in Singapore got them there, and it was only snatched away in the late laps of the final round, when Vitaly Petrov ambushed Charles Pic for 11th as Pic slowed to let Alonso lap him. The team also insists that Glock was looking good for scoring points that day before being hit by Jean-Eric Vergne. And for 2013 things are looking good for Marussia to make good on Symonds' promise of continuing its rise to respectability. First of all, it has KERS for the first time, using Williams units. And the new MR02 looks a good one. While it's nowhere near the midfield pace and not close to them on aerodynamic detail the car does look solid, with neutral handling and reasonable reliability (and of course that it made testing at all is an improvement on last year). It all adds up to the team having a good shot at being the year's highest climbers, in terms of pace gained since the equivalent races last time. And better still it appears to be somewhat in contrast to the Caterham, which has looked rather a handful to observers in testing. Prevailing in F1's 'B class' has moved from a credible aim to almost an expectation for Marussia in recent times; indeed one team member has been quoted that the squad will be 'bitterly disappointed' if it doesn't manage this. There are a couple is problems lurking in the background though. One is, as Symonds' opening quote spells out, the team is short on cash and isn't seeking to hide the fact. It gets worse too, as the Column 3 money set aside for the 'new' teams under the previous Concorde Agreement is now gone, and major rule changes for 2014 which will require resource to adapt to (not least the funding of the engines) will be a major conundrum for Marussia especially. And this lack of cash led to the respected driver Glock being dropped for 2013 (the team admitted that the decision was 'commercial'). And there was also the embarrassment of having to discard the recently-signed for 2013 Luiz Razia when his sponsors' cheques didn't clear. Marussia now enters this season with two rookies (both bringing cash it is thought), the first two-car team do so since Shadow in 1979. More broadly, even if Marussia does beat Caterham this year, one would then be inclined to ask 'what next?' Without heavy investment and growth, or else significant scaling back by the teams ahead, it's not at all obvious how Marussia can bridge the massive chasm that separates it from the midfield teams and thus move further up the grid. In F1 as in anything else, money in correlates strongly with results out. But often in financial survival small is beautiful, as the Marussia team will have more flexibility to rein back if times get tough than those larger and therefore with greater fixed costs. And whatever the case the team now gives much more confidence than it once did that it's capable of meeting the challenges that face it. Marussia is no longer a joke, it looks more and more like a proper racing team making the very best of the relatively fallow resource it has. It appears firmly set on the road to respectability. So, Jules Bianchi gets his F1 race debut after all. Having spent most of the winter locked into a two-into-one-doesn't go situation with Adrian Sutil over the remaining Force India drive, no sooner had that door closed as the Marussia door opened. Luiz Razia's sponsors blew him out, and even in F1 two and two make four sometimes, as Bianchi slotted into the evacuated space gratefully. Even at the youthful age of 23, it seems we've been waiting rather a long time for Bianchi to make good on his 'next big thing' status that he's occasionally conferred. Following a host of karting triumphs, a French Formula Renault crown and then a fine F3 Euro Series title in the dominant ART squad, he was snapped up by Ferrari as the first recruit to its young driver academy. But since this point things have been a little patchy. Two campaigns in GP2 added up to two third place finishes in the standings, which can be interpreted as good-ish rather than seizing the moment. Further, his form wavered somewhat in that time, and Ferrari had to be parachuted in at one point for emergency guidance. He moved on to Formula Renault 3.5 last year, and while it is correct to say that he was unlucky that his championship rival Robert Frijns put him out in the last round, depriving him a shot at the title, some say he should have been in a stronger position going into the race, particularly as he spun away points in the round before (and this is without mentioning that when Antonio Felix da Costa entered the series mid-year Bianchi was whipped by him). Analysis of Bianchi's rise indeed indicates that 'pressure errors' are too common a feature up until now, and that he may perform best in adversity rather than when expectations are high. Furthermore, having spent 2012 as test driver and sometime Friday practice runner, Force India seems to have its enthusiasm for Bianchi rather under control, admitting that ordinarily it would have preferred Bianchi to get another year of testing/practice rather than get a race seat for this campaign. Still, Ferrari clearly rates him highly, as do plenty of others, and you have to leave open the possibility that all of this is based on something. He's shown plenty of flashes of class in his junior formulae campaigns (even if they indeed remain flashes rather than the regular pattern), particularly in qualifying where his record is excellent. Indeed, his chief engineer in F3 who worked with both Bianchi and Sebastian Vettel even reckons Bianchi is the better here. He also has plenty of experience in an F1 car for a modern-day F1 rookie: as well as plenty of test days and no fewer than nine Friday practice runs for Force India he's also had lots of miles in older-spec Ferraris. The Marussia team was, in Pat Symonds' words, 'thoroughly impressed' by Bianchi's testing performance having stepped in literally with a few hours' notice. And of course uniquely Bianchi has driven two teams' 2013 F1 cars. 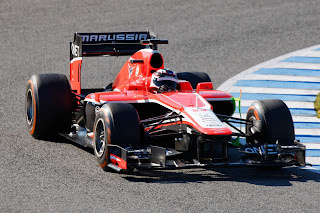 Perhaps too, if Bianchi still isn't the finished article, Marussia will be a better environment for him to knock off the remaining rough edges than the thick of the midfield battle at Force India would be. It's not necessarily a dead end either: it's been demonstrated by the likes of Alonso and Webber in Minardis that it's still possible to be noticed even when in tail-end machinery. If nothing else, the opening of the Marussia opportunity shows Bianchi is what Napoleon would have admired as a lucky General. But luck only takes you so far. Bianchi needs in 2013 to start to show with regularity what all of the fuss is about. Another rookie, another pay driver? 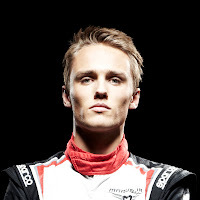 It can hardly be denied that Max Chilton's accession to a Marussia race seat and his father's wealth, along with his father's chairmanship of the Aon insurance company which sponsors the Marussia team, are not unrelated. But, as is often the case, this headline finding might disguise some of the story. 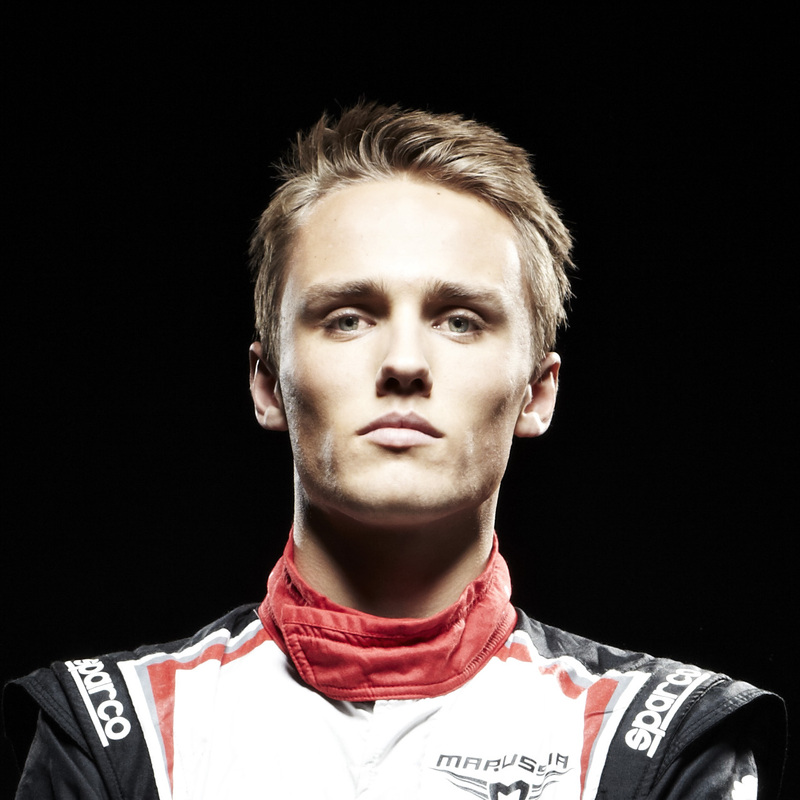 It's fair to say that Max Chilton's CV established by this point has a slightly unspectacular quality to it. There are some race wins, but no championships, and on the way up presumably his father's money opened doors that otherwise would have been shut. And yet that, perversely, may have been part of Chilton's problem up until now. Being pushed up the ladder more quickly than might be expected, to the point routinely of being the youngest in each category he's started out in (indeed, in his F3 debut season he had to miss the first meeting due to not being 16 yet!) has probably been to the detriment of his results. And there was some feeling that last year in GP2 Chilton finally 'caught up with himself', as it were. Qualifying pace had always been a strength of his, but last campaign Chilton started to ally this with stronger race performances, looking more confident in race combat and less prone to fading down the order. He took two wins and got fourth place in the championship, which in itself shows that he shouldn't disgrace himself in F1. Further, only champion Davide Valsecchi was a better qualifier and that the second of Chilton's two wins came at Singapore, arguably the most challenging track on the calendar, is a feather in his cap. Also, in a Friday practice run out in Abu Dhabi last year for Marussia Chilton set a lap time a respectable second off that of Timo Glock. For inspiration to prove doubters wrong Chilton only needs to look at his Marussia predecessor: Charles Pic entered F1 last year with no championships on his CV and many assuming he'd got the drive mainly through family money, but the performances of his freshman year were a pleasant surprise. And that the shenanigans over the identity of Chilton's team mate has given him plenty of pre-season testing time, as well as opportunity to get his feet under the Marussia table, is a welcome stroke of luck. But the time for Chilton to deliver is now. To repeat his own mantra, while his father can get him the drive, it is up to him with his work behind the wheel to demonstrate that he deserves to keep it.